Save time and money with our online learning library! Instantly access thousands of engaging educational materials for grades K-6. All you have to do is print and teach! Unlimited Access to 100+ Canadian Educational Workbooks! Instantly print or project ready-to-go lesson plans, worksheets, and printable activities on all your devices. 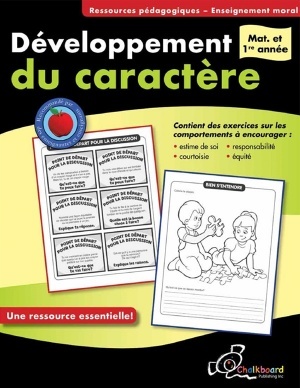 Promote mastery of key skills and topics taught from kindergarten to grade 6. Support children’s educational growth with a membership to our online learning library. Differentiate instruction based on individual learning styles and education levels. Access all workbooks, lessons, printables, and activities we’ve ever published! Our Canadian-curriculum learning resources are 100% Canadian made for Canadian kids! Our educational materials build, reinforce, and develop key concepts and foundational skills with repeated, targeted practice. Find easy-to-implement lessons and activities for most K-6 subjects including math, language arts, STEM, social studies, geography, health, and visual arts. A membership to our comprehensive online learning library gives you instant and unlimited access to thousands of K-6 resources any time, anywhere. Our practical, ready-to-go materials will reduce the amount of your free time spent preparing for class. Just print or project what you need, when you need it! Easily meet the diverse needs of every student with stimulating lessons and printables that cater to individual learning styles and education levels. Minimize paper usage with our online learning library when you print only what’s needed or by projecting lessons and worksheets onto a smartboard. Implement with your child a consistent school work routine. Choose activities based on your child’s needs and interests and watch them take ownership of their learning! As your child achieves educational goals they will become increasingly confident in their abilities. Communicate interest and enthusiasm for what your child is working on. Our clear and well-organized materials eliminate guesswork and provide everything you need as a parent to support your child’s educational development. Eliminate the need to purchase other resources. Our online learning library provides educational activities that will help your child catch up, review, or get ahead. Search and explore our online learning library of 100+ Canadian educational workbooks for subjects and topics of interest to you. Draw attention to important facts and figures with our interactive highlighting tool. Choose from thousands of engaging lessons, exercises, and worksheets. All you have to do is print and teach! View our library of content on all screen sizes and devices (iOS, Android, Windows, etc). As a teacher, Demetra knew that it was integral that resources be clear, practical, and easy-to-use. As a parent, she knew that those same resources also had to be stimulating, rewarding and convenient. Thus, the goal became to produce materials that fundamentally change the way students engage with their education while improving levels of proficiency and achievement. The skills developed through Chalkboard inspire a genuine love of learning through improved self-confidence and subject understanding. Chalkboard is a renowned and trusted educational resource that gives all children a chance to grow, succeed, and surpass expectations. Helping Children Reach Their Potential Has Never Been Easier! With access to thousands of high-quality resources for children in grades K-6, you will accelerate their learning and understanding at home and in the classroom.